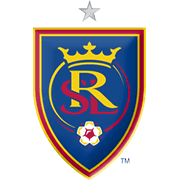 Rio Tinto Stadium will host Sunday’s football game between Real Salt Lake and Minnesota United. Real Salt Lake have been scoring goals for fun of late and they are likely to stick to their attacking style of play against Minnesota. Following a 6-0 win at Colorado Rapids, the Royals rolled over LA Galaxy 6-2 in their last league match and, no doubt, they are brimming with confidence ahead of the visit of the Loons. 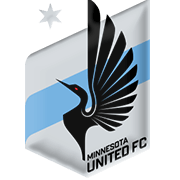 Minnesota United, on the other hand, have been having their ups and downs in the 2018 MLS campaign and seeing that they do not seem to be on top of their game at the moment, we predict that the hosts are going to emerge triumphant in Sunday’s clash. A man to watch in the home team will be Slovakia midfielder Rusnak, who scored a brace against LA Galaxy. Born in Vyskov, Czech Republic on July 7, 1994, Slovakia international Albert Rusnak began his youth career in KAC Kosice. In 1997 he moved to MFK Kosice where he was talent-spotted by Manchester City scouts. However, he did not see any game action for the Citizens in the Premier League as he was immediately loaned to Oldham City. After making only two appearances for the Latics, the Slovak moved to Birmingham City in 2014. After ending his loan spell with Cambuur, Albert Rusnak moved to FC Groningen in 2015 and it has to be noted that he scored nine goals in 61 appearances for the Dutch club in the Eredivisie. 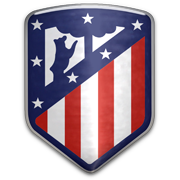 In the winter of 2017 Rusnak joined MLS club Real Salt Lake for an undisclosed fee. Speaking of his international career, Albert Rusnak made his debut with the Slovakia national team on November 15, 2016 in a goalless draw with Austria. His father, also called Albert Rusnak, used to play football as well.